Cancer is one of the leading causes of death worldwide. With the number of diagnoses predicted to increase, a better understanding of different cancers and improved treatments are needed. Currently, cancer treatment such as chemotherapy, immunotherapy, and radiation have undesirable side effects and frequently fail to destroy all cancer cells, often leading to reoccurrence. These treatments attempt to destroy cancer cells through the process of programmed cell death or apoptosis. A recent study determined mitochondrial outer membrane permeabilization (MOMP) triggered by Caspase Independent Cell Death (CICD) may be a more effective cancer treatment target than the process of apoptosis. Researchers used colorectal cancer cells in their experimental design. When cancer cells die through CICD, the immune system is stimulated to release potent pro-inflammatory proteins that can then target the remaining cells. 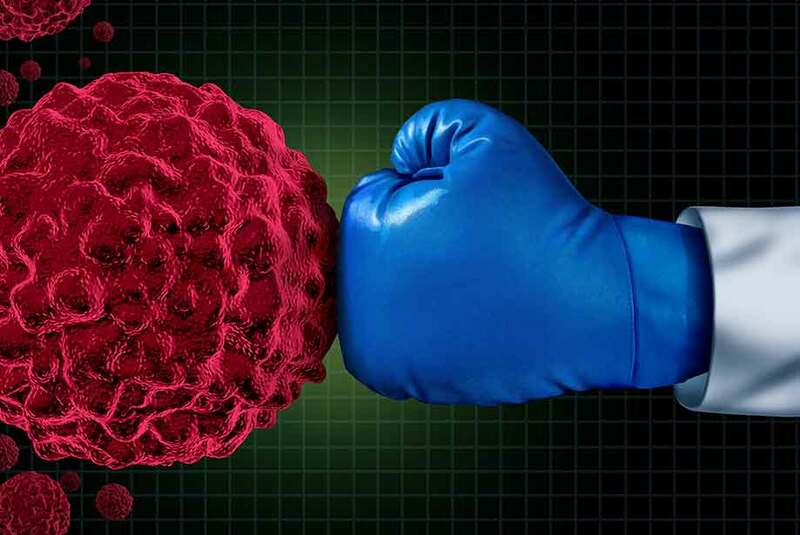 In contrast, cancer cells that undergo apoptosis may not activate additional immune responses, thereby remaining in the system. The data suggests that by activating CICD, the colorectal cancer cells were completely eliminated. These preliminary results are very promising and could help develop more effective treatments with reduced side effects for eradicating tumors. The benefits of CICD need to be explored with additional types of cancer cells. Further research is needed to develop a method to move from an experimental model into a usable treatment option in humans. Enzo provides a wide variety of products for your Cancer and Cellular Analysis research needs. Our SCREEN-WELL® Cancer Library is a collection of 275 compounds that can be used for screening and assay development. Anchoring our cell analysis platform is our CELLESTIAL® portfolio of fluorescent probes and assay kits for cellular analysis, providing a complete set of tools for monitoring cell viability, proliferation, death, oxidative stress, and ADME/Tox by flow cytometry, microscopy, and microplate platforms. We offer an extensive range of Caspase proteins and antibodies for your research needs.